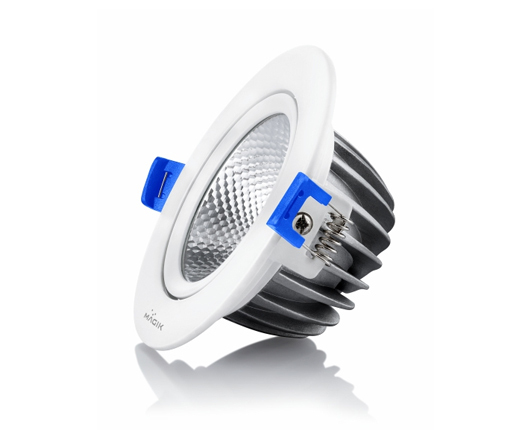 COB with Lens provides high lighting for the desirable light coverage area. Unique adjustment technology for directing the light in desired directions. Its light weight and slim shape makes it easy to install offering a long service life. Optimum thermal dissipation increases energy efficiency of the product. Magik believes in adding value to the world through its energy efficient lighting, making the planet healthier and more sustainable with our solutions that contribute to social as well as ecological well-being. Each light source is tested for its luminous intensity and uniformity across a solid angle that consumes the least energy. Our products adhere to BIS safety norms, ensuring protection against electric shock and resistance to heat and flames. Our products come with lumen warranty to offer optimum brightness for your favorite furniture or living space.